With pyephem I can take orbital elements from the Minor Planet Center and add them into a ephem.EllipticalBody(). So it looks as though pyephem is being clever and taking apsidal precession into account. Which isn't something I need for this. Any suggestions so on how I can plot the orbit from the orbital elements or what I'm doing wrong here? Ideally I'll like to be able to do plots from different 'views' to show the inclination as well as eccentricity or perhaps a live mayavi scene. I suspect that the phenomenon here is not apsidal precession, because the libastro library beneath PyEphem uses simple Keplerian orbits when given elliptical coordinates. Instead, my guess is that you are seeing the Earth’s polar precession, which is moving the heliocentric latitude and longitude system out from under you as you are trying to plot. For most objects the effect is negligible, but an 11,000-year orbit is enough time for the Earth’s pole to make it a good bit of the way around the sky. 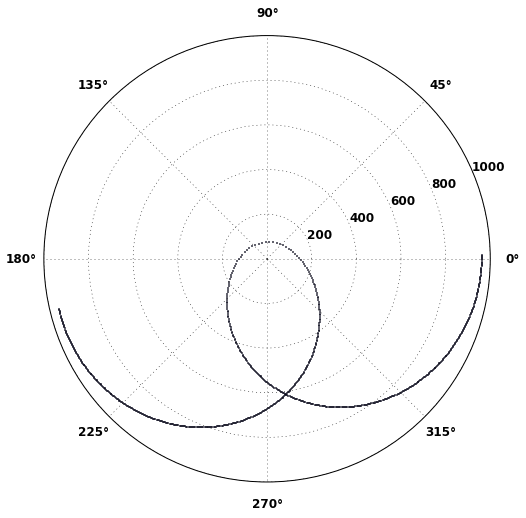 The only coordinates that libastro produces that are likely to be immune to the effect (assuming that a compute(…, epoch=J2000) does not make the heliocentric longitude stable?) are the a_ra and a_dec coordinates, so you might have to pull those for both the Sun and Sedna, convert them into vectors, and subtract. Not the answer you're looking for? Browse other questions tagged python astronomy pyephem or ask your own question. Is it possible to make realistic n-body solar system simulation in matter of size and mass?